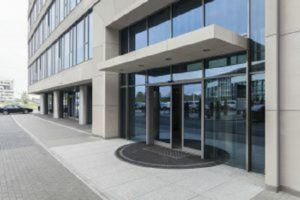 5 Benefits of Tinting the Windows of Your Commercial Space - American Solar Tinting, Inc.
It’s time to update your workplace with an easy addition that offers a ton of benefits – window tinting. It may seem like an odd choice to tint the windows of your commercial space, but the process is easy and can give you a wide range of benefits. While it’s not a flashy update, having your commercial areas windows tinted can improve the satisfaction of employees and customers alike. There are few things more frustrating than a workplace that is too hot or too cold, often considerable changes in temperature can decrease productivity significantly without you even noticing. Adding a window tint can help ensure that this issue is kept to a minimum as it will reduce both heat entry and loss. Additionally, a window tint can help reduce glare and the inflow of ultraviolet light, allowing your staff to stay focused and more comfortable. There are two main ways in which window tints help improve security. The first is that they keep those outside from seeing in with ease. This means that potential thieves and criminals are unable to take stock of your valuables easily. Second, if someone tries to break a window treated with tint the glass will be held in place. Not only can this allow your staff valuable time to escape and call for help, but it can prevent entry and injury in the case of an accidental window break. When you remove the glare, ultraviolet rays, and effect of the sun you can help save yourself 15º in temperature increases which translates directly to energy savings. Additionally, in winter the addition of film leaves less room for loss of heat through your windows. This simple layer can help add a significant amount of money to your annual savings. When your staff is comfortable, they will work better and more productively. Along with the improved temperature control, window tints remove the distraction of glares and help to reduce eye strain. This allows employees to enjoy the benefits of natural light without any of the adverse side effects. Adding a window tint can also help make your business look more professional and beautiful. There are a wide variety of styles and finished that can be used, finding the perfect option for your business is easy! Plus, window tints reduce the fading effects the sun has on your interiors, which helps your office furnishings, carpets, and textiles look better longer. This entry was posted on Friday, December 21st, 2018	at 10:20 am	and is filed under Commercial Window Tinting	. You can follow any responses to this entry through the RSS 2.0	feed. You can leave a response, or trackback from your own site.